I just wanted to touch base quickly to let you know a little about our upcoming Coexist Celebrations. We are working on re-scheduling our time at the Buddhist monastery in West Linn which was originally scheduled for tomorrow night. As I recently mentioned, it was "lost in translation." 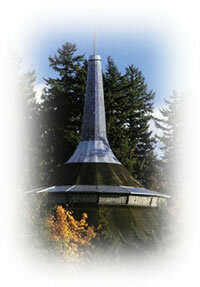 On November 19th we are booked at the Lewis and Clark Agnes Flanagan Chapel. This is an incredible blessing. Generally, they simply do not allow anyone from the outside to hold any type of religious or "spiritual" events in their chapel. After meeting with them and reviewing our website they have made an exception. It is my hope that some of their students will be a part of our event. I am setting up a meeting with them now. I do know that they will be advertising the event to the whole student body. On December 17th we will be "Coexisting" at the First Baptist Church in downtown Portland. This will be our Christmas Celebration and this historic, beautiful building truly feels like Christmas even in July. On January 21st we will be bringing in the New Year at Mt. Tabor Presbyterian Church. The old stone walls and the stained glass windows will be a powerful place to lay a strong foundation for the year 2011. Save the Dates. More details to come. Between now and then may we all find ways to incorporate Coexist Consciousness with everyone and everything in our world.